You Be The Judge: Is The Housing Market Really Improving? Optimists have had no trouble finding fresh evidence to suggest that the real estate market is recovering. Home sales are at the highest levels in years, borrowing rates are at historical lows, and builders are hiring again. But not everyone is convinced that the sector's momentum has staying power. You Be The Judge: Is The Housing Market Really Improving? A home for sale in Glenview, Ill. Existing-home sales hit the highest level in more than 3 years in February. But not everyone is convinced that the housing sector's momentum has staying power. — Home prices rose by more than 7 percent last year, according to the widely respected S&P/Case-Shiller Index. — Builders have been hiring again, adding workers at a pace of 30,000 a month over the past five months. — The Federal Reserve plans to hold interest rates at historically low levels for a long time, making homes more affordable. — The number of underwater borrowers, i.e., those whose mortgages exceed the value of their homes, fell by almost 4 million last year to 7 million, according to JPMorgan Securities. — Sales of existing homes and building permits are both rising. Realtors in a number of cities report bidding wars breaking out because too few homes are on the market. This latest Realtors' report showed sales were 10.2 percent above the same month last year, marking 20 straight months of gains. -- The Realtors' report showed the inventory of homes for sale in February increased 9.6 percent to 1.94 million. That represented a 4.7-month supply of houses on the market, up from 4.3 months in January. Six months of inventory makes for a healthy market, so Realtors like the direction of that data. -- Homes are getting bigger again. The median new single-family home shrank about 6 percent during the housing bust. But now, Commerce Department data show the median size of a new home started in 2012 hit a record 2,309 square feet, exceeding the previous high of 2,259 in 2006. — The number of "underwater" homeowners may be down, but it's still extremely high, with an estimated one in five owing more than the home's worth. When people can't get out of their old mortgages, they can't move up to a nicer home. — Home prices, on average, are still at very depressed levels — still roughly 30 percent below their peak in many markets. That means millions of houses will remain underwater for a very long time, making it harder for people to trade up. — Loans may be cheap, but only for people with sterling credit scores. With unemployment still so high at 7.7 percent and wages scarcely growing, millions of Americans can't qualify for home loans. — Congress has just imposed sharp federal spending cuts, which could depress economic growth and drive unemployment back up, reducing the number of people who could buy homes. 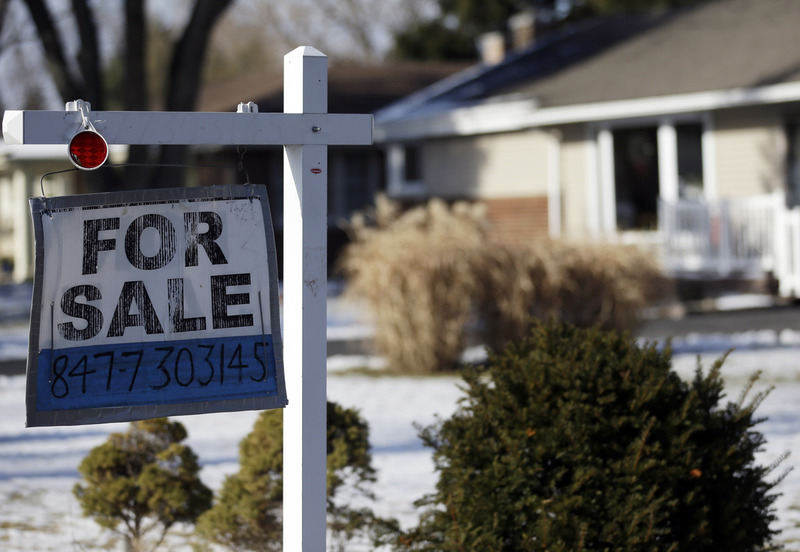 -- The increased number of homes for sale in February may suggest that there really is a "shadow inventory," a huge number of foreclosed houses that lenders are going to begin dumping onto the market now, driving prices back down.